If you, of rational mind, were to think it absurd to remake 'Dirty Harry' as a film laced with song & dance numbers, well then welcome to Bollywood. 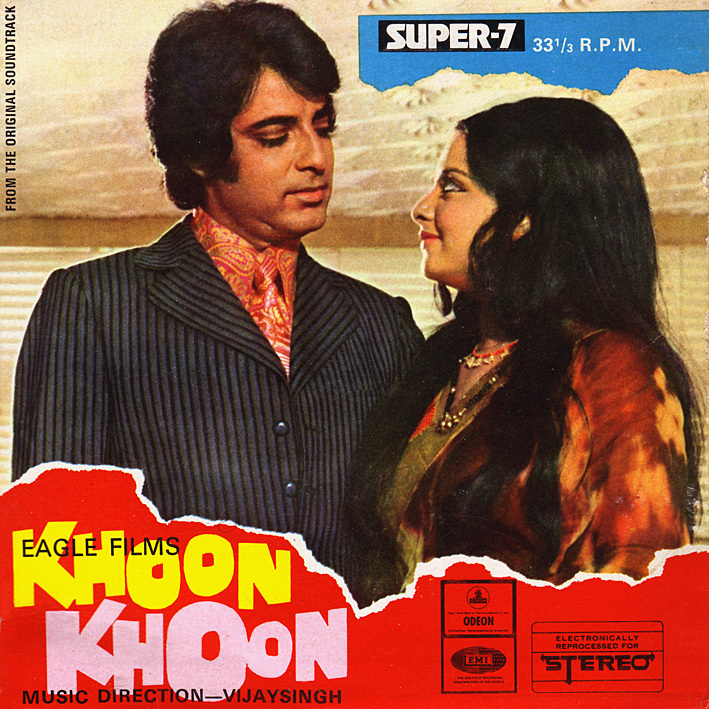 Because that's exactly what 'Khoon Khoon' [review] is. Ever wanted to watch Dirty Harry sing? In 'Kitni Thandi Pawan' his Indian counterpart does. Remember in the Clint Eastwood original when Scorpio the killer hijacks a school bus, beating the kids on board into singing 'Row, Row, Row Your Boat'? Slightly more menacing than Danny Denzongpa pirouetting to 'Teri Meri Achhi Hui Dosti', I'd say. It does all kind of look like fun though, and I'm almost tempted to watch it. And it has a cool cabaret number in 'Meri Aankhon Men Masti Hai' (I don't remember anything like that in the original), definitely belonging to the Pancham school of such things. From what I've been able to surmise, Vijaysingh (or Vijay Singh as he's more commonly known) was very much indepted to RD Burman. 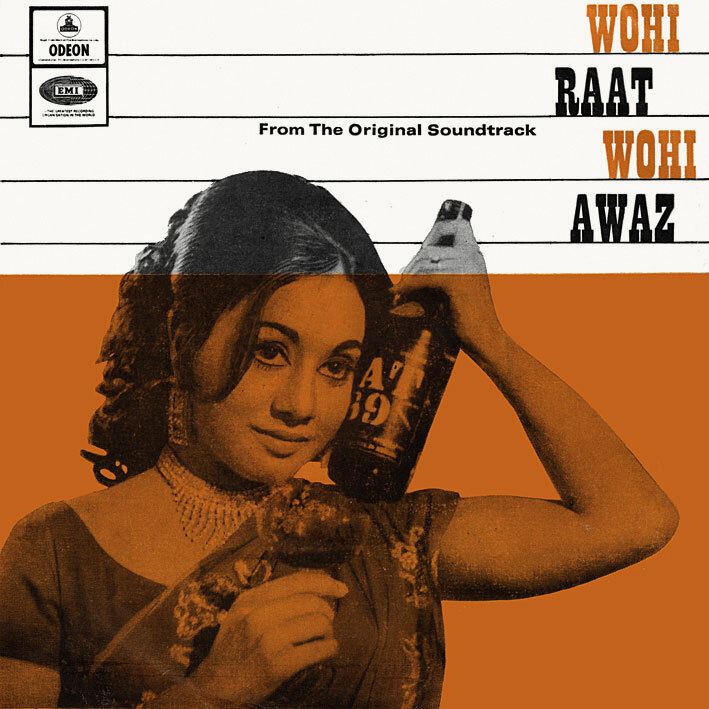 'Wohi Raat Wohi Awaz' is another seemingly obscure film, with very few useful mentions on the net other than, surprisingly, a brief one by The British Film Institute. Apparently, music directors Sonik Omi appear in it. A supernatural thriller, touches of which can be sensed in the picturization of Asha Bhosle's haunting 'Mera Man Bhatak Raha Diwana'. And don't you just love the record's sleeve? You can hear the Scotch-wielding girl hiccup on the exquisitely moody 'Sochta Hai Kya'. Two great EPs, two not very often heard soundtracks. These look great, pc! Thank you!